But despite these quirks in translation, these moments of misunderstanding, it was during this month that I figured out that even an implacable language barrier can’t stop (and won’t stop) communication. You can draw pictures, you can use body language. You can get the message across. So if I was dropped in an alien planet, I think/hope the skills I learnt in June would suffice for basic communication. (Plus, I feel like I’m already experienced at feeling like the alien. There were times when the students locked me in such perplexed gazes that I thought I might have miraculously grown Shrek ears, or a tail, or have turned an alien-ish shade of green. Essentially, I think I’m all set for a life on Mars). But, back to the art. I think there are some things that you can’t ever totally communicate with language or even conversation. Even if you somehow knew the words for everything in every language you still might be stumped by how to express a particular feeling, or that mood you’re sometimes in on the first Monday back after the summer holidays. This is where Rothko comes to the rescue. You’re feeling like you don’t want to talk to anyone, you’re feeling slightly introspective; you’re feeling a little No. 61 (Rust and Blue). Stay with me. Or maybe you’re euphoric, you’re in that Untitled mood. There was a time when whenever I was in London that I’d trek across the wobbly bridge from St Paul’s just to go and hang out in the Rothko room in the Tate Modern. There was (is?) a room that contained about five of the huge red canvasses with maroon squares and rectangles, and I’d just go and sit with the canvasses trying to look deep and meaningful, and glaring at anyone who claimed their 5-year-old could do something similar (for the record, no they couldn’t). Back in 2012 when I found out that someone had vandalized one of the Rothko’s I liked to spend time with, I took it personally. The idea of someone’s name being etched on an object that describes a universal human emotion really bothered me. It was so selfish, so wrong, that any one name could be on that piece of art. All I really want to say is that I’d choose a selection of Rothkos to take with me. Well smuggle – I’m not sure taking more than one would be allowed but I’d try because it would be useful. For example when I’d inevitably have to face up to the fact that I was the only human on the planet, I could turn to the aliens, point at Black on Maroon and say ‘this is how I’m feeling’. And I think simply having the selection of Rothkos would keep me from feeling like Black on Maroon. There’s a certain universe-ality (ya get it?) to Rothko that might just mean I would feel in touch with other humans despite being so far from home. Figgy Guyver is the Deputy Editor of ART & FASHION at Prancing Through LIFE. She’s also the Art Editor of The Student newspaper. In a shocking revelation for Art Editors around the world Figgy is the kind of person you might describe as ‘artsy’. She enjoys the works of Mark Rothko and in her free time wonders how sushi would feel. It is indeed a great question. If you’re interested in getting involved with PTL – drop us a message on prancingtheoughlife@live.com. I read this article and found it very interesting, thought it might be something for you. 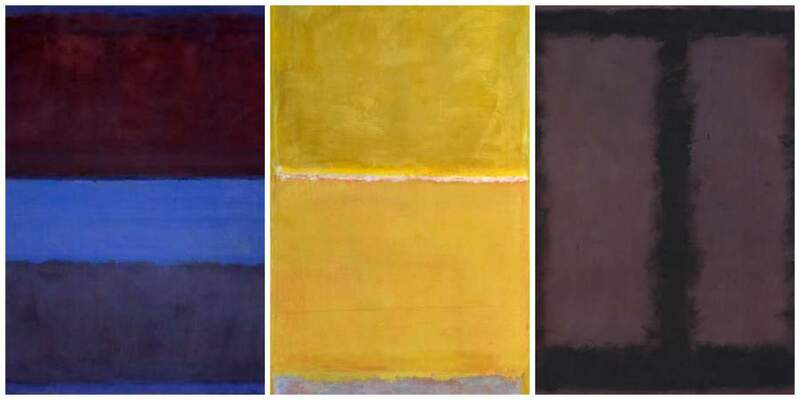 The article is called A Selection of Rothko – #anotherearthart and is located at http://prancingthroughlife.com/2014/07/15/a-selection-of-rothko-anotherearthart/.